Pairings can sometimes be all about the order of the words and the pattern they make, think about the couples you know – somehow one name is always said first, and if you reverse the order it sounds slightly odd. Blackberry & apple is the more usual order to write this pairing, but this post is all about the apples; with the blackberries in a supporting role. Waitrose are promoting the fabulous British apple at the moment, and will be stocking lots of British grown, little known varieties such as the Estivale and the Suffolk Pink. 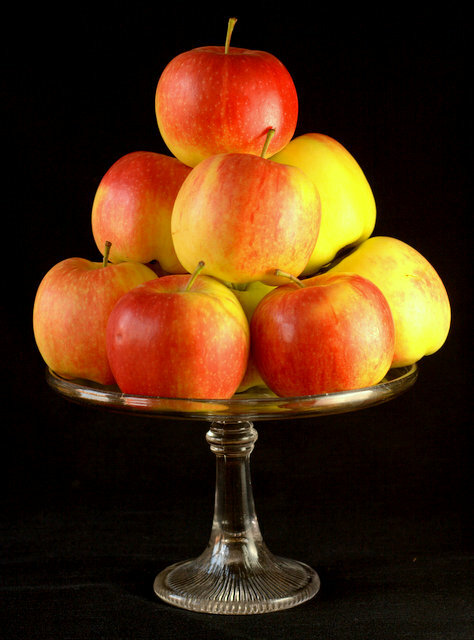 I am a huge fan of different varieties of apples, and am always astonished at just how different they can be – whether to eat, cook or juice. 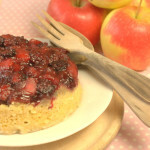 I have used the Estivale (which I had not heard of before) and used it to make a very British apple and blackberry steamed pudding, which can be cooked in the microwave; which, with a slight twist, is egg free making it allergy friendly. 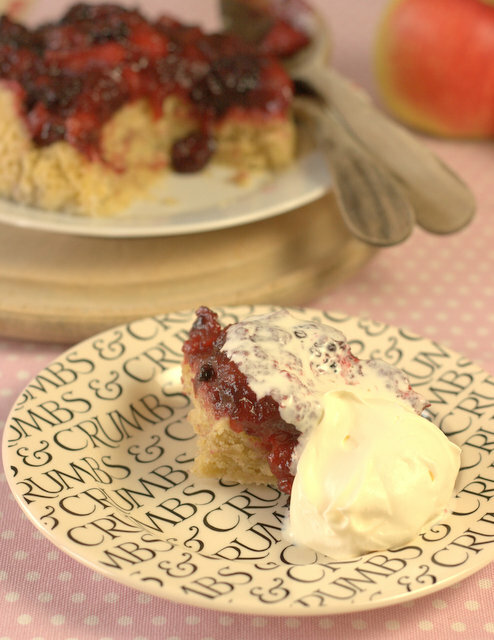 Once you have tried I guarantee you will be a convert to making steamed puddings in the microwave – it takes a fraction of the time, and saves you a fuggy steamed up kitchen you get from having a simmering pan on the hob. . The Estivale was developed in France in the 1950’s as an attempt to improve on the Golden Delicious, a much maligned variety – the ones for sale in the UK are often under ripe and very boring with the ones for sale in France are far superior almost being a totally different apple. It is a pretty pale green with red and orange strips, with a lovely sweet honey fragrance, the flesh has the same honey sweetness with a hint of aniseed. Delicious! The apples are also huge – far more than one of your five a day! 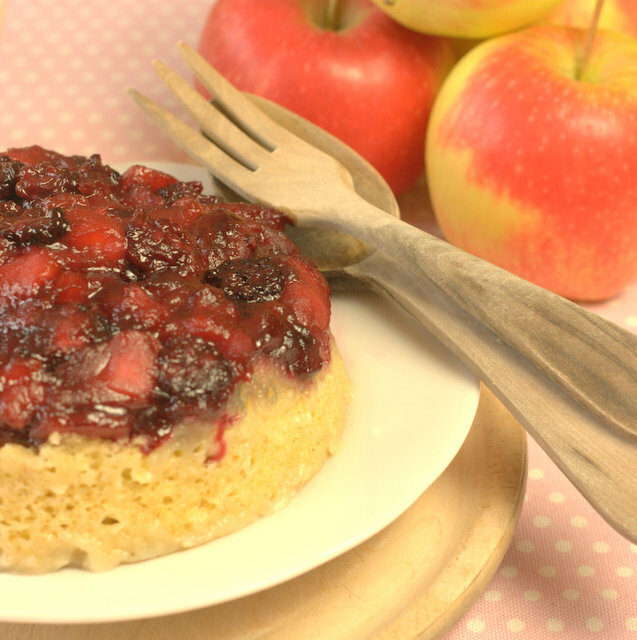 If you try this Recipe: Estivale Apple & Blackberry Steamed Pudding please tag #FussFreeFlavours on Instagram or Twitter. It is amazing for me when for me when you make one of my recipes and I really do love to see them. You can also share it on my Facebook page. Please pin this recipe to Pinterest too! Thanks for reading Fuss Free Flavours! Melt the butter in a frying pan and fry the apple pieces for a few minutes until they are golden. Add the sugar and blackberries and gently cook until the fruit is soft and sticky. Generously butter a 2 pint / 1 litre pudding basin and pour the fruit in. In another mixing bowl mix the flour, sugar, baking powder, salt and all spice. Pour the milk and oil into a jug and whisk together. Add the milk and oil mixture to the dry ingredients and gently fold in. Do not over mix – it will only need about 15 folds. Spoon the sponge batter over the fruit mixture and cover the bowl with clingfilm (make a few holes with the tip of a sharp knife). microwave at full power for 3 – 5 minutes until a cocktail stick pushed into the sponge comes out clean. Cooking time will depend on your microwave and size and shape of the bowl. Turn out onto a plate and serve immediately with whipped cream.